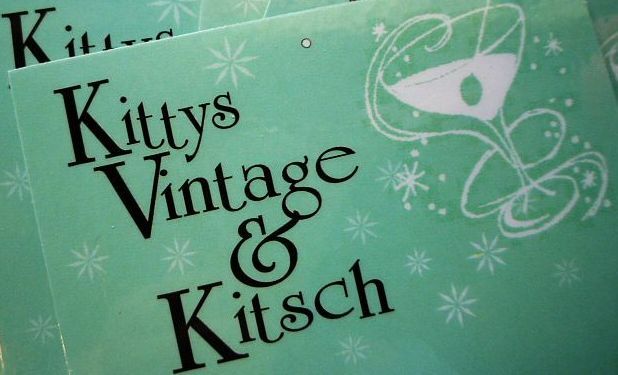 KittysVintageKitsch: EBAY How-To....Win Things AND Spend Sensibly! Ah, ebay....how do we love thee?! In my case personally...a lot! 24/7 worldwide, it's there when you're needy, tipsy, bored or just plain want to shop. But do you really know how to get the most out of this, our most bargainacious of vintage shopping venues?? I'm going to assume you already have some familiarity with ebay- that you have registered, have a paypal account, and know how to do a basic search. But are you finding it quick and easy, or time-consuming and frustrating? Are you finding amazing bargains, or does it seem rather expensive? So how do you make searching ebay quicker, easier, and more efficient? First, type in a basic search term, and DON'T choose a category. Top tip #1- choosing a category, at least to begin with, means you may overlook a fantastic bargain, because you won't see an item that has been incorrectly categorised by the seller. See those "related searches" right under the search bar? I don't think it's usually a good idea to use these. Yes, they are certainly related searches, but they are also popular searches with the latest buzz-words..they don't tell you that of course! Top tip #2- don't use the common search terms like french provincial, on trend, boho, shabby or maxi, as they're likely to show you a large number of higher-priced items. Put yourself in the shoes of someone who doesn't quite realise what they're selling and isn't familiar with ebay-what title would they use? Probably something like 'old dress', 'grandmother chair' or 'lovely shirt'. These sorts of terms might just find you an item that others have missed. Top tip #3- use your sidebar wisely, it's there to help you. You can refine your search results by specifying a price range, item condition, sellers and format. This is fab when you're on a budget, but be careful with item condition, because if the seller doesn't specify a condition when they list an item you may accidentally miss out. I've never bothered only looking at listings from top-rated sellers...in my experience they are more likely to list well and their items are more likely to realise higher prices. How much would you offer for this? Top tip #4- be sensible with best offers and buynows. Most sellers price items with 'best offer' higher than the price they expect to get, so feel free to offer less and save yourself a few dollars. But don't be rude or offensive, you never know what the repercussions might be. But are you getting just far too many search results? Then your search requires further refinement. Top tip #5- use the 'minus' in your search. As you can see above, a search on US ebay for vintage dress yields over 115000 results....crazy! But a search on vintage dress -repo -repro -new -style -BNWT -BNIP -pattern -child -bridal cuts it down to under 55 000. A big difference, obviously. Don't be afraid to search on misspellings either, you never know what you may find. Sites like www.fatfingers.com can help you with that. But what about bidding? Why do I often miss out by 4 cents? And what if the piece I want is overseas, and finishes at stupid o'clock? Top tip #6- if you're going to place a bid, never enter an even amount like 8.00 or 8.50. Always do an odd amount, say 8.42 or 9.03, that way you have a better chance of winning. Top tip #7- to keep within your budget AND have your bids placed while you're out or asleep, use a bid sniping program. This way you can't get carried away with the excitement of bidding and can't miss the auction itself. Bidding scheduler is the one I use, but there are plenty out there (all free) if you do a quick google search. Most Important Tip of All-trust yourself and go with your instincts! If something sounds too good to be true, it may well be. Don't be scared to ask any seller any amount of questions, and/or ask for more photos if you feel unsure. If the style of the listing is off-putting, don't bid-simple! And if you like what the seller has and their style, don't forget to check their other listings, you never know what treasures you may find. This is how I found one of my most treasured vintage items...a complete book of 1930s dress salesmans sample cards, A4 size, 70 pages, each card complete with watercolour illustrations and fabric samples. Priceless! If you have any more tips, please share them in the comments.